Does your roof require some much needed TLC? 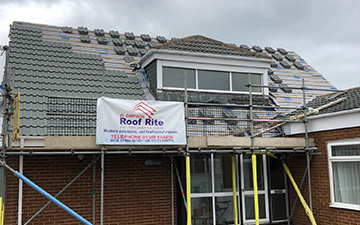 Here at D.Simpson Roof Rite we are proud to offer a full re-roofing service. Our professional team will walk you through the process making sure to meet your every need. 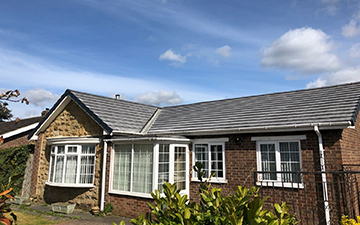 Whether you have experienced damage or your roof is past it’s best, we can complete a full re-roof with minimal disruption. We will strip back your old roof, replacing it with a brand new top of the range breathable membrane and long lasting, weather proof tiles. 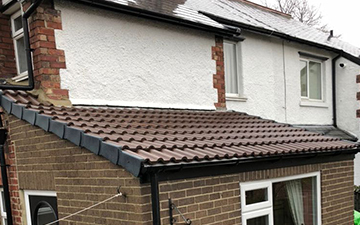 A new roof could be cheaper than you think so get in touch today! 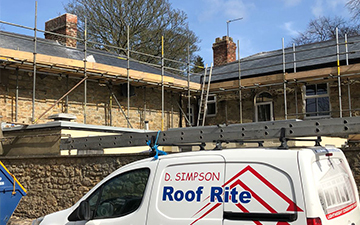 D. Simpson Roof Rite was established by Darren Simpson over 20 years ago, the main aim was to provide a service that focuses on old fashioned values with modern solutions, whilst keeping the prices competitive. Darren was joined by his son 5 years ago and the family run business started to flourish! © 2018 D Simpson Roof Rite. All Rights Reserved.